With its classic sleigh style and its intricate detailing on the head and footboard, the Ashley North Shore Sleigh Bed is a traditional style bed that is large and robust. This bed is made out of hardwood solids, hardwood veneers and furniture-grade resin. 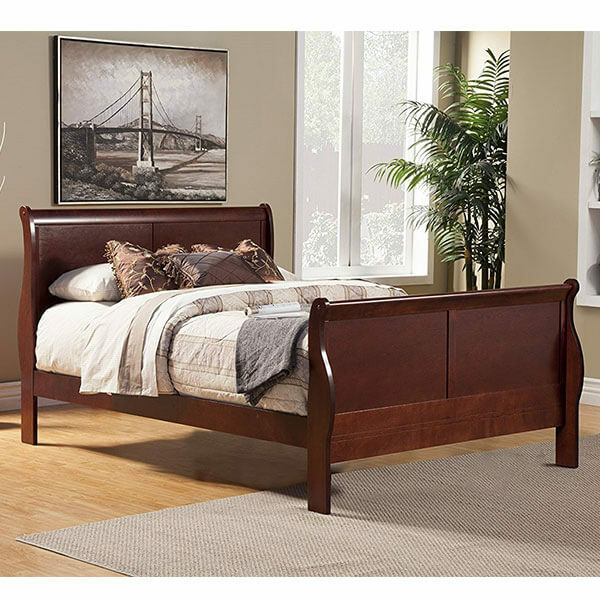 Simplistic with its minimalistic yet traditional design, the Home Styles Lafayette King Sleigh Bed is a sleigh bed with a large and prominent curved headboard, a slightly detailed footboard and turned wooden legs. It has been given a rich finish and measures 53 inches in height. 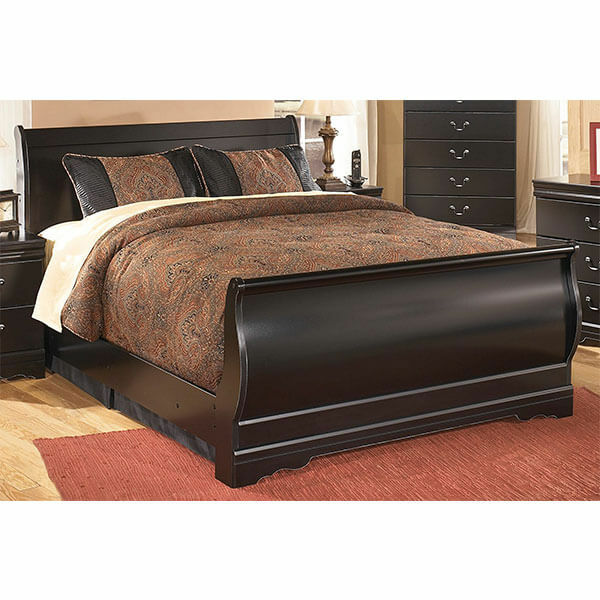 The Queen Sleigh Bed by Ashley Furniture is a sleigh bed that uses minimal detail and lets the shape of the bed do the talking. It has a Louis Phillippe-style shape and has been given stylish black paint to afford it a neutral look perfect for any bedroom. 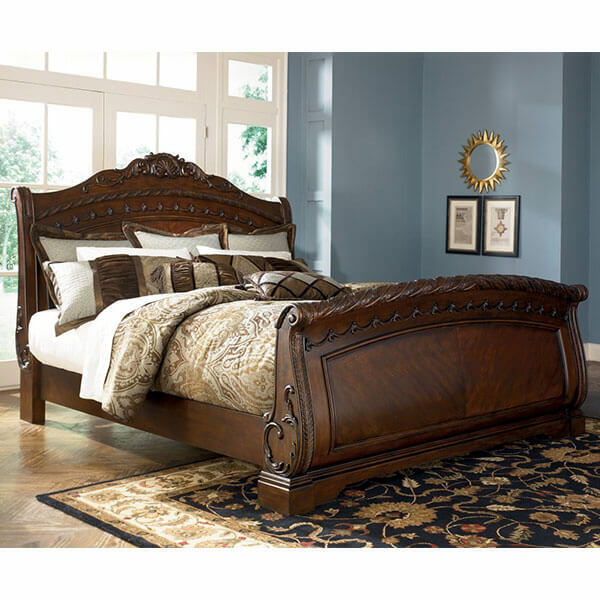 The Coaster Louis Philippe King Size Sleigh Panel Bed is a durable bed that is crafted out of selective veneers and solid hardwood. 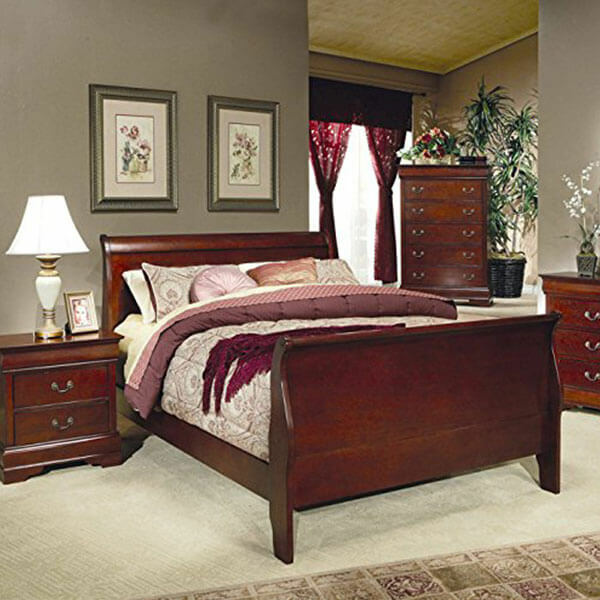 It comes in a striking cherry finish that adds elegance to any room. It offers an eastern king size for plenty of room to get comfortable. 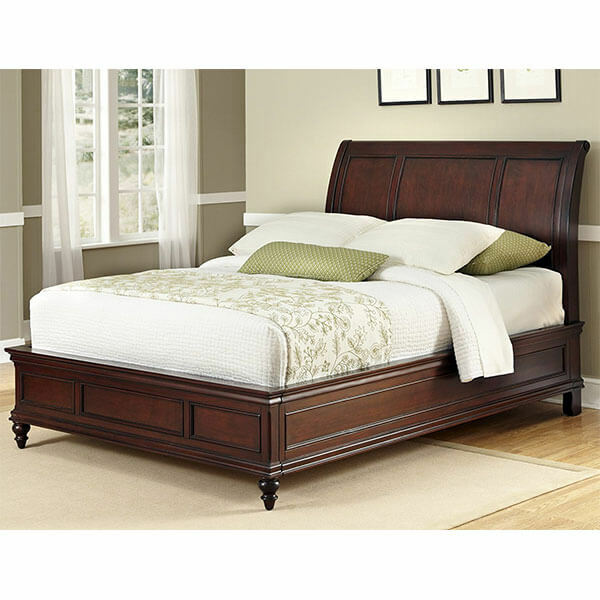 The Coaster Home Furnishings Traditional Twin Bed is an elegant twin style bed that provides you with a smaller bed but bigger style. 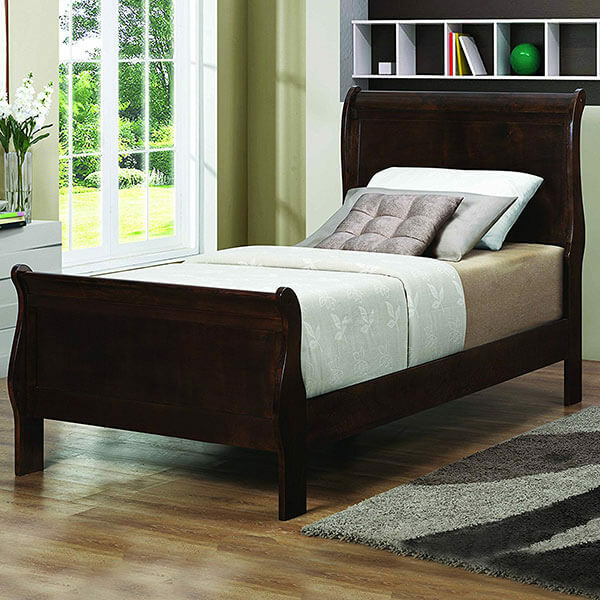 It has nice detailing on the frame and offers a sophisticated style to any bedroom in your home. It is made with durable wood with a dark finish.